Wa Enabler unlocks certain hidden features of WhatsApp which are not available for normal usage. 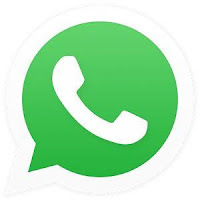 We earlier gave you an updated version of GBWhatsApp v4.8 which has most of this features enable by default but with WA Enabler, you can access all those features on the original WhatsApp on your device. 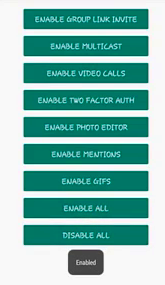 Mind you, all these features are already inbuilt in the normal WhatsApp but not enable. You can enable all these features on your own but you need some knowledge of codes and the Linux Operating System. How to use WA and unlock WhatsApp features? - Install the downloaded apk and grant superuser permission. - Open WhatsApp and check out hidden features. WhatsApp is much more fun with these features enable. Remember that some features may be restricted in some countries even after you enable them.